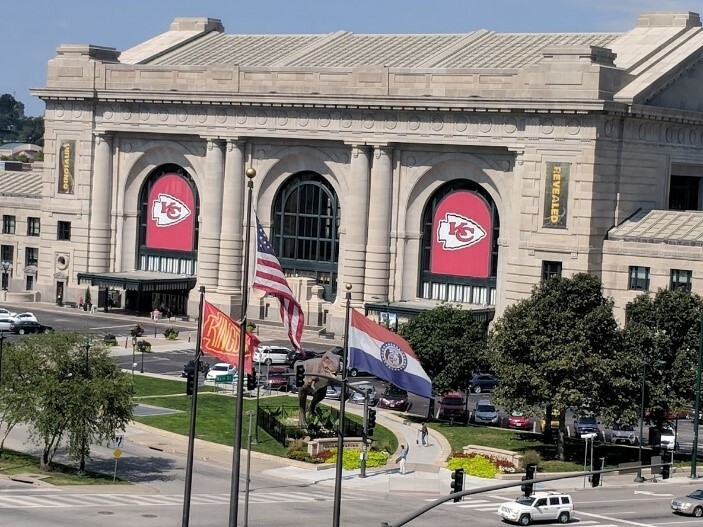 The 2018 IEEE International Smart Cities Conference in Kansas City, MO brought together experts, project managers, policy makers and academics to discuss smart city technology, and smart city initiatives such as smart infrastructure, asset upgrading and replacement, and connected devices. Key topics for public works professionals included spatial computing, a future with autonomous vehicles, and the Internet of Things. Spatial computing can create virtual maps for consumer GPS devices, assist with asset tracking, facility management, and even smart routing. Smart routing can be used by the fleet industry to find more efficient routes, saving time as well as money. By the year 2020 smart routing could save up to $500 billion in fuel and time. A future that brings autonomous vehicles will bring questions like the value of curb space, concerns like the funding of transportation infrastructure, and quick adoption of AV. The adoption of AV will absolutely affect big highway projects and force administrators and public works leaders to reassess the value of parking. 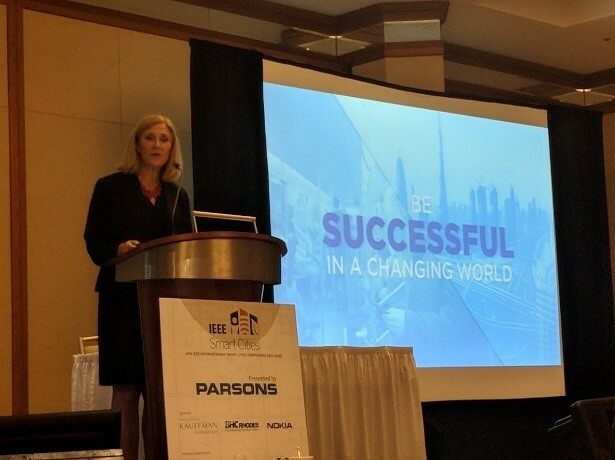 Keynote speaker Julie Lorenz discussed the disruptive changes that autonomous and connected vehicles will bring. She believes these changes will require cities to adapt and innovate to provide services. The Internet of Things is a concept that will affect the public works industry across the board. The IoT is an idea where things are connected like people; vehicles, machines, people, and infrastructure will all be connected and exchanging data. Public works impacts will include real-time analytics for infrastructure management, environmental monitoring, energy management, and what is sure to be the next “utility”; transportation. Smart cities implementation and support is greatly dependent on public works departments as they are responsible for the city infrastructure and technology maintenance. Transportation will become a “utility” for citizens, and curb space will be more valued in the city space.